Many thanks for your generosity in supporting the RPI Engineering Ambassador’s mission of inspiring the next generation of engineers: male, female, white, African American, Hispanic, etc. The RPI Engineering Ambassadors have been invited to go back to the Bronx in early January 2019 to share our message, Find Your Passion and Engineer It, with several area schools. We will present a full-day program at each school, which will engage approximately 500-700 pre-college students each day. Last year, we presented to 1,700 students within three days. This one-week trip increased our academic year outreach by more than 30 percent. The demographics of these schools will allow the Engineering Ambassadors to reach underrepresented students, and potentially bring diversity into STEM field. We hope to reach as many, or more, students this year by bringing more ambassadors. We still plan on visiting the St. Raymond’s Academies for Boys and Girls, presenting to several classes throughout the day. Through this visit, we also hope to continue the relationship we have established with St. Raymond’s, paving the way for future visits and partnerships. Donated funds will help provide support for the Engineering Ambassadors' trip to the Bronx, and help to build a sustainable annual RPI Engineering Ambassador event for students within the Bronx. The ambassadors all volunteer their time, so the bulk of the funding is needed for travel and housing. Additionally, funding will also help purchase materials for the school visit, as well as meals. We hope you will consider supporting us in our mission to inspire a younger audience in the Bronx, and encourage them to pursue a rewarding career in engineering! 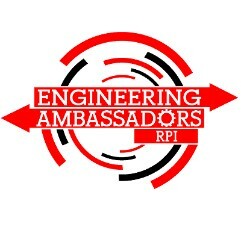 The RPI Engineering Ambassadors was created in the spring of 2011, and has had over 120 ambassadors take part in the organizations. Since its inception, the RPI Engineering Ambassadors have reached over 30,000 students in the immediate area and beyond. We achieve our mission by presenting engineering topics directly to students at their schools. Each presentation has an accompanying hands-on activity to drive home the STEM topics discussed in the presentation. Our organization is also very involved with events that promote STEM on campus, including FIRST LEGO League, National Manufacturing Day, Exploring Engineering Day, and many more.